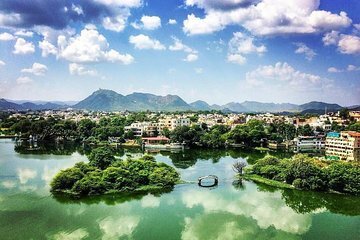 Discover the lavish palaces and royal residences of Udaipur on a private sightseeing excursion. Learn about the history of the former capital of the Mewar Kingdom from your tour guide as you explore the Jagdish Temple, Monsoon Palace, the Bagore Ki Haveli Museum, and more. On the second day, choose between excursions to the Chittorgarh Fort or the Ranakpur Jain temple and Kumbhalgarh Fort.